Today, I received a mail from Citi Bank about new Costco anywhere Visa Card. Here are the details and Costco visa credit card benefits. This new Visa Card is the Costco Amex replacement card. The final date on which American Express cards will be accepted at Costco is June 19, 2016. If you have a Costco American Express card, you don’t need to apply for a new Citi card. 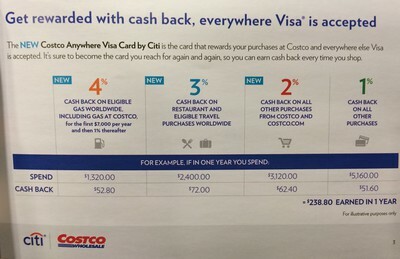 Citi Bank will mail you a new Costco anywhere Visa Card in May and you can start using from June 20, 2016. Like the Amex card, cash back coupon will be mailed annually, you can redeem for cash or merchandise at Costco warehouses. Next post: How to Check Status of My Tax Refund ?